Dear brothers and sisters; welcome to the ghuraba homepage. Alhamdulillah, you can order right now !!! The size of the flag is 150 cm to 90 cm. It has 2 metal eyelets on the left side. 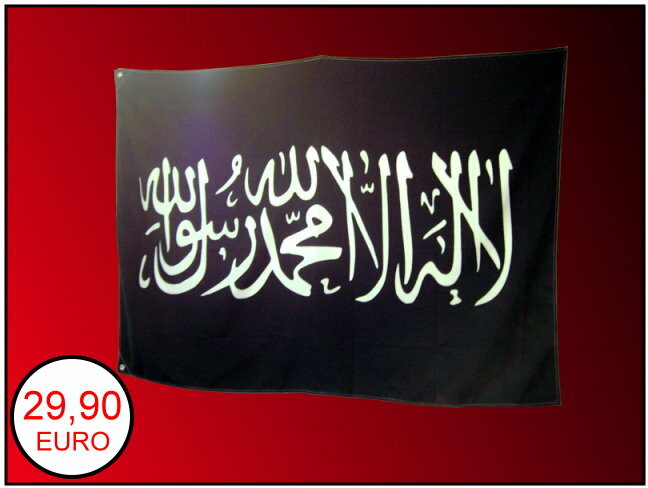 If you are interested in this flag; just send an e-mail to us and we will reserve one for you, because this is a limited edition.